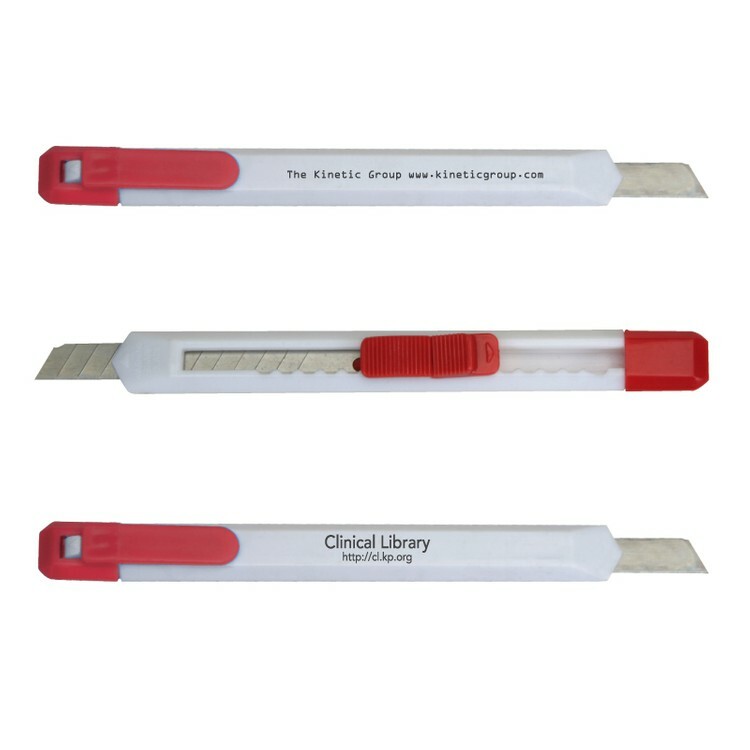 Slim snap blade box cutter. Blade locking mechanism. Snap off the end for a new razor blade (using the tool on the cap). Imprint Area: 2" x 3/16"